Update, May 8: More writers have been announced ahead of Netflix’s The Witcher series. 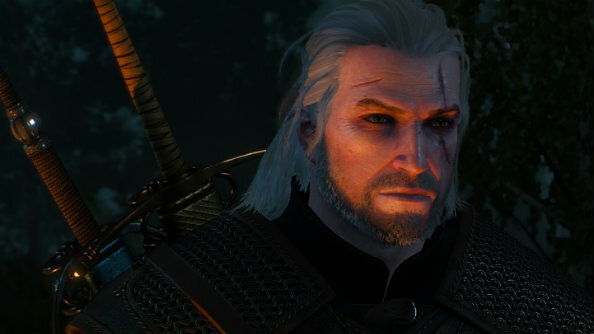 While you wait for the show, here’s our list of the best mods for The Witcher 3. Hissrich’s tweet confirmed that writers from Netflix’s Marvel series will be working on the show; Jenny Klein, who wrote for Jessica Jones, and Daredevil’s Sneha Koorse, are both on the writing team. Declan de Barra, who worked on The Originals, is also involved. This is still only the early stages of the process, as the Witcher TV series isn’t due to launch until 2020. Update, April 20:Netflix’s Witcher adaptation will launch with eight episodes in 2020. We’ve got a bounty of fresh details on the Netflix Witcher series from an event in Rome, brought to us straight from thefeedof writer and producer Lauren S. Hissrich. We’ll still be waiting awhile before we see the finished product – the show’s not due out until 2020 – but there’s plenty more of note. No casting has been finalized just yet, so all your fan casting is still theoretically possible. The pilot script is still due for further revisions, and writing has yet to even begin on the remaining seven episodes. Hissrich says new writers will be coming on board soon, however. Update, March 1, 2018:The series’ showrunner has submitted her pilot script to Netflix for notes. We’re one step closer to leaving White Orchard! Writer and producer Lauren Schmidt Hissrich posted a photo of the finished, printed pilot script to Twitter February 24. She’s also been tweeting quick character capsules of some of the people we’ll meet (perhaps again) in the series, including Geralt’s long-suffering horse Roach, who Hissrich describes asladylike, faithful, and extra-sensory. Update, January 23, 2018:The pilot script for the Witcher 3 TV series is complete. The script for the pilot of upcoming The Witcher 3 TV series is complete. Showrunner Lauren Schmidt Hissrich tweeted yesterday to announce the milestone. While getting the pilot finished is obviously pretty important, we’re a long, long way off seeing Geralt and co. on our screens. Once the script has been edited and the pilot filmed, Netflix will decide if they want to turn it into a full series. Hissrich previously worked with Netflix on Marvel’s Daredevil and The Defenders. Netflix’s version of The Witcher will stick closer to Andrzej Sapkowski’s novels than CD Projekt Red’s games, with Sapkowski acting as creative consultant on the series. Update June 29, 2017:Last month we learned that the man behind The Witcher series’ incredible CGI intro sequences would be heading up an episode in the upcoming Netflix series. Now it’s looking like The Witcher 3’s composer might be onboard too. ComposerMikolai Stroinski recently posted about visiting the Netflix head office in LA, and it’s not hard to connect the dots. If you want to be reminded how great his work is, you can listen to it for free onSoundCloud. In the post on his Facebook, he simply says “It’s cool here,” while checking into Netflix HQ. That was on June 26. Then, seven hours ago, at 4:20am (yes, that meme, well done), he made another post. “Because 4:20am is the perfect time to figure out the music for the project I don’t even have yet,” he says. Hmm, what could it be? Update May 18, 2017:Something worth highlighting that we didn’t yesterday: the man responsible for The Witcher series’ cinematic intros is on board with the Netflix show. Tomek Baginski, who works for Platige Image and produced The Witcher 1, 2 and 3’s CGI intros, will be getting one episode to direct. Assuming there are further seasons, he’ll get one in each of those as well. It’s as close to proper involvement from the games side as we’re likely to get, given CD Projekt’s total lack of involvement. Voice actor for Geralt, Doug Cockle, has said he hasn’t got anything to do with it either, but would like to. @rebeccajbaum I can categorically deny any current involvement in #witcher on #netflix. Though I would love to be involved! So tell em you want me in it!! Personally, if Jason Momoa isn’t cast as Geralt, what’s been the point of all of human existence up until this point? Think on that, casting directors. An earlier version of this article incorrectly calledBaginski the Witcher’s cinematic director – he was only actually involved in the CGI intros to all three games. Update May 17, 2017:CD Projekt aren’t involved with the Witcher Netflix series. Despite making the only successful adaptation of The Witcher stories, the popularity of which is clearly a key reason the forthcoming Netflix series is getting made, CD Projekt are not involved in it. Obviously, CD Projekt are game developers, not TV producers. Nonetheless it’s still a little surprising that they haven’t even been approached as, say, creative consultants. Thanks to original author AndrzejSapkowski’s well-documented lack of faith in them, they were able to make a lot of their own decisions in adapting his stories. Given the success of the result, and the fact that it utilises many techniques that television does (e.g. acting, writing, direction, various aesthetic choices), you’d think they might’ve at least been asked for some tips. Original story May 17, 2017:The Witcher Saga is being made into a Netflix series. Netflix will work with Polish production and visual effects studio Platige Image to bring Geralt of Rivia to your screen, and original author Andrzej Sapkowski will serve as a creative consultant. The news comes via an announcement on Platige’s website, which describes the series as a drama, and confirms it will be in English. The series has some serious heft behind it, with The Expanse’s Sean Daniel and Jason Brown on executive production duties, and Oscar nominee and BAFTA winner Tomek Baginski on board to direct. Platige Image have also posted the news to their Facebook page, where they say hours of meetings are behind them, and “production of the series” is ahead of them. So it sounds like this has only recently been confirmed. Nonetheless, this is obviously hugely exciting. A nice stop gap while we wait for The Witcher 4. The Witcher stories are just as good as the games, and Netflix have a mostly great track record. We’ll be sure to let you know more as soon as we do.